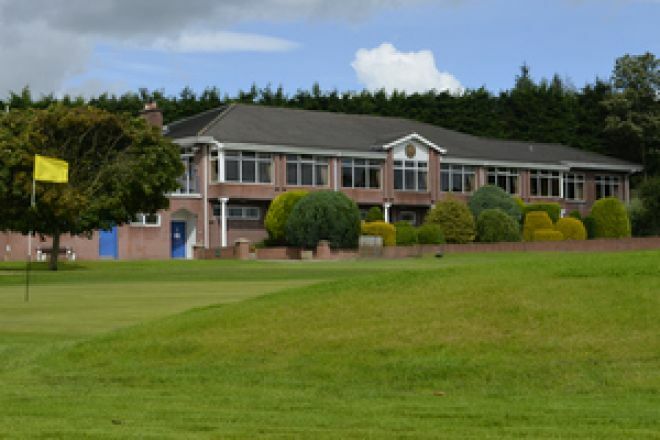 Killymoon Golf Club is one of the oldest clubs in Ireland having been one of the nine founding clubs of the GUI. Killymoon has been in its present location since its inception and is located in the grounds of Killymoon Castle. Rumour has it Killymoon Castle was once owned by King George IV who won it on the throw of the dice. 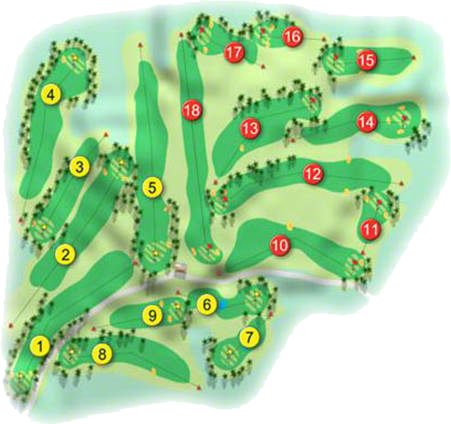 Killymoon has many fine and challenging holes that ensure the player of a memorable and challenging game of golf. The 1st is the signature hole at 472 metres off the white stakes it winds its way round the woods and castle as a dogleg right. This hole lets the golfer know he or she is on a golf course to be respected. Killymoon is playable all year round as it is built on extraordinary sand consistency soil base. Once described by a nameless scribe "the dreary sand associated with a conventional Scottish Links is absent from Killymoon, but only to be replaced with a firm old sword and a timeless, sameness of the dunes exchanged for the most diversified views of hills and valleys". Killymoon has a magnificent clubhouse catering for the needs of every golfer before and after his or her round of golf. The warmest Ulster hand of welcome is extended to visitors at this club steeped in history. Killymoon Golf Club won the Ulster Final of the Jimmy Bruen Shield when they beat Shandon Park Golf Club by 3½-matches to 1½-matches on 10th August 2012. They made the long journey to Kinsale Golf Club to compete in the All-Ireland deciders on Friday 21st September when they were drawn against Munster Champions Gold Coast Golf Club in the All-Ireland Semi-Finals. They were led by B. Bleeks with D. McCabe who had a 1-hole win over John Hallinan with Ian Pericho, next up was K. Wilson with R. Montgomery who halved their match against Derek Power with Michael Kavanagh, they were followed by J. Bleeks with T. Doonan who had a 2 and 1 win over Declan Kiely with Garry Manning. In the penultimate match B. Gogarty with S. Devlin who lost their match against Ger Bagge with D. J. Kiely by 3 and 2, in the bottom match G. Toal with M. Lenny had a very comfortable 6 and 5 win over Jimmy O’Dwyer with Jody Hallinan. They met Connaught Champions Roscommon Golf Club who beat Leinster Champions Waterford Golf Club by 3-matches to 2-matches in their Semi-Final. They were led by B. Bleeks with D. McCabe who had a 3 and 2 win over David Hill with John Walker, they were followed by K. Wilson with R. Montgomery who lost their match against Alan Craven with Shane McConn by 3 and 2, next up was J. Bleeks with T. Doonan who had a very comfortable 5 and 4 over Liam Casey with Paul McNally. In the penultimate match of B. Gogarty with S. Devlin who recorded a 2-hole win over Brian Daly with Peter Geraghty and with it the All-Ireland green pennant, in the bottom match G. Toal with M. Lenny lost their match by 2 and 1 against Paul Hoare with Francis Ferguson. Killymoon Golf Club won the Ulster final of the Junior Foursomes they were drawn against the Leinster Champions The Island in the All-Ireland Semi-Finals at Roscrea Golf Club on August 19th 2002. They lost out on the 19-hole. This club is famous for several reasons. It was one of the nine original founding clubs of the GUI. The club representatives were Hugh Adair and A. W. Gaussan. It was the first club to have a ladies course and to have an All-Ireland open Ladies competition. The Adair family had a lifetime association with the Club. Hugh Adair was a prime figure in the formation of the club, his daughter Rhona, won the British Amateur Championship in 1990. John Adair, a grandson of Hugh, laid out revisions to the course in 1920-21. The club has never changed location since its foundation, which is very unusual for a club so old.